Sod Works makes up a portion of our third generation diversified farming operation in Broadwater County. We strive to bring top quality products to the marketplace in all aspects of our operation. Our sod farm is no different. 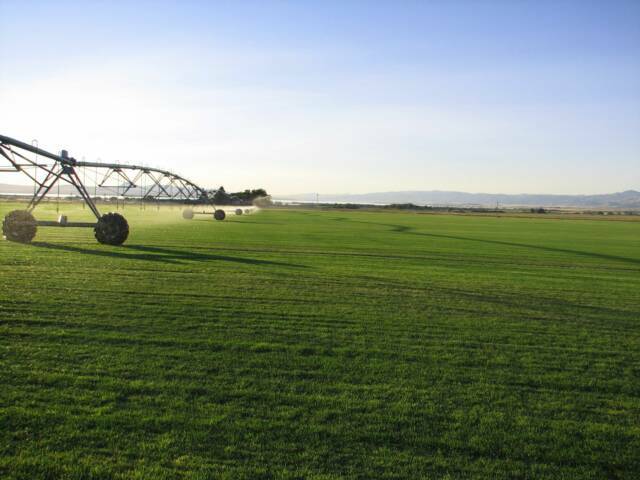 The unique blend of five varieties of Kentucky bluegrass in our field brings a product that is both visually appealing as well as hearty enough to survive in Montana's harsh climate. We understand that a lawn is a long term investment, so we are committed to supplying a product, which with proper maintenance will be beautiful for years to come. Along with a quality product, we equipped our farm with the machinery to deliver the sod you buy -- when you want it. Industry leading cutting equipment and our fleet of three trucks equipped with forklifts make delivery to your Montana location as easy as possible. Buy sod from us, and we can cut and deliver your bluegrass on your schedule. The farm’s location on the south end of Canyon Ferry Lake serves as an ideal location for servicing the sod needs of Helena, Townsend, Butte, Three Forks, Bozeman, White Sulphur Springs, Lewistown, Avon, Deer Lodge and all points in between. Visitors to our sod farm are welcome. Give us a call today to find out how you can change or complete the look of your Montana home with quality Kentucky bluegrass sod from Sod Works. Copyright 2009. 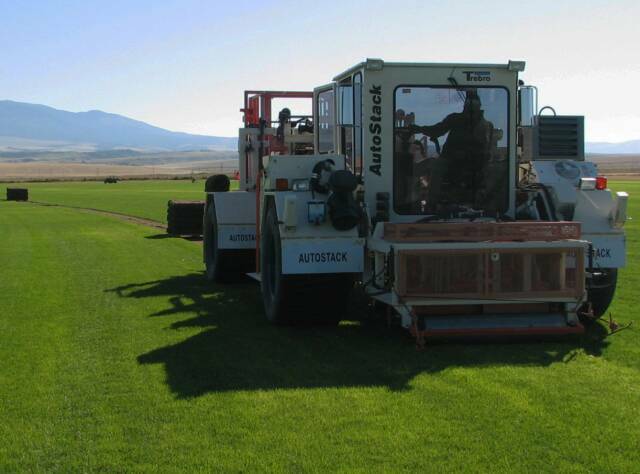 SodWorks: Bluegrass sod for Montana. Sitemap. All rights reserved. Sod Works: Buy Kentucky bluegrass sod grown at our family owned and operated sod farm. Our sod is acclimated for Montana conditions.